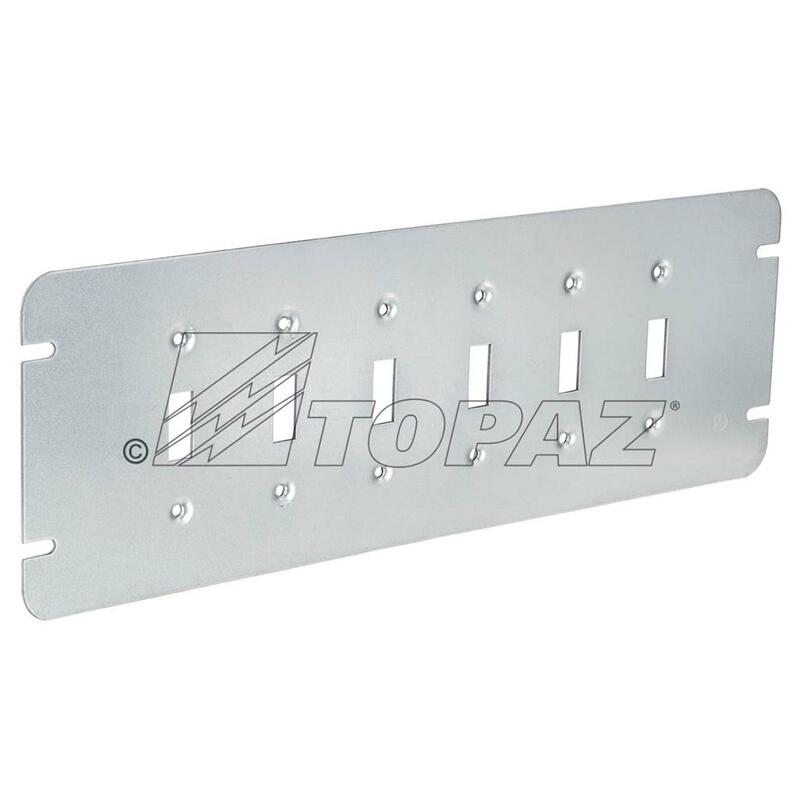 Topaz Multi-Gang Box Cover Toggle allows for quick installation of electrical devices to steel covers before they are mounted to the box. 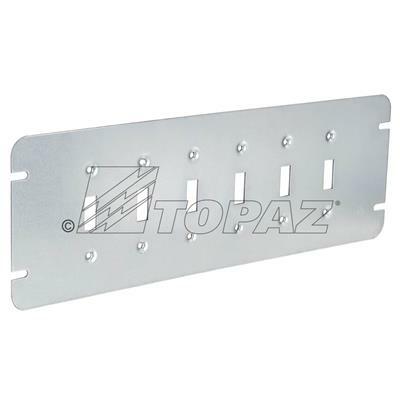 It protects wires inside the box for switches, receptacles and outlets. Provides fast and easy coverage of electrical junction boxes and 6 toggle switches. Manufactured of galvanized steel. Also available in 2 thru 6 gangs.